Mar. 27 (NBD) -- 913 Chinese hospitals have been approved as pilot hospitals for labor analgesia practice. The proportion of painless childbirth cases are expected to reach 40 percent in 2021, though the figure in China is less than 10 percent now. Labor analgesia has developed for more than 100 years and has been widely applied in the west. Data shows the analgesic techniques are adopted in the 85 percent of childbirth cases in the United States and 90 percent in the UK. In China, hospitals located in the east and northeast part of the country show higher frequency of using the technique during the labor and delivery, while labor analgesia is less popularized in the southwest and northwest regions. By comparison, more patients choose to deliver their baby via cesarean section. China's C-section procedure rate stood at 35 percent and 34.3 percent, respectively, in 2014 and 2015, far from the maximum rate of 15 percent that World Health Organization recommended. This is a result of the patients' concerns and fears of childbirth pain and insufficient cognition of labor analgesia. In fact, the volume of anesthetic injected in labor analgesia is much lower than cesarean section, and the former is less risky than the latter that could cause massive bleeding and amniotic fluid embolism, Huang Weijian, anesthesiologist at Guangdong Maternity and Child Care Hospital, said to news outlet the 21st Century Business Herald. In addition, unspecific charging rules for the childbirth pain relief also impede the spread of the techniques. The surgery price of a Grade-A tertiary hospital in eastern Chinese province Anhui is 1,200 yuan (178.7 U.S. dollars), which is relatively low among public hospitals, and some private hospitals offering high-end services charge up to 8,000 yuan (1191.5 U.S. dollars) for the anesthetic injection. Huang admitted that penetration rate of labor analgesia in the third and fourth tier Chinese cities is partly affected by the factor of price. Since the income of doctors in those regions is linked to the surgeries, low pricing of the pain relief for childbirth discourage surgeons from giving the medication. Industry analysts held anesthesiologist gap is another obstacle for the introduction of analgesia. It is noted that there are 85,000 anesthetic professionals in China and every 10,000 patients are served by 0.5 anesthesiologist, in contrast to 2.5 for the United States and 2.8 for the UK. According to the standards of Europe and the U.S., 2.5 anesthesiologists are needed for every 10,000 patients. Thus China should have at least 300,000 more related talents. There is actually a shortage of anesthesiologists in China compared to pediatricians, Huang revealed. "As anesthesiologists are not clinically valued, a number of medical school graduates don't want to be engaged in anesthesia. Some comprehensive universities in China have even cancelled the anesthesiology as an undergraduate major," Huang added. 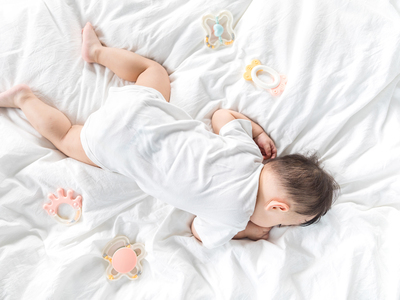 Due to the short supply, the doctors are required to deal with both daily operations and time-consuming labor analgesia for hours-long baby labor and delivery, which brings heavy workload to professionals. Therefore, the hospitals' charging standards will be the key to the promotion for the anesthesia in childbirth.